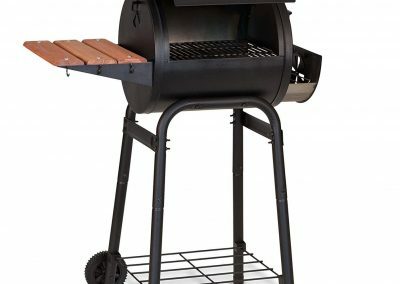 Want a great charcoal grill but limited on space? 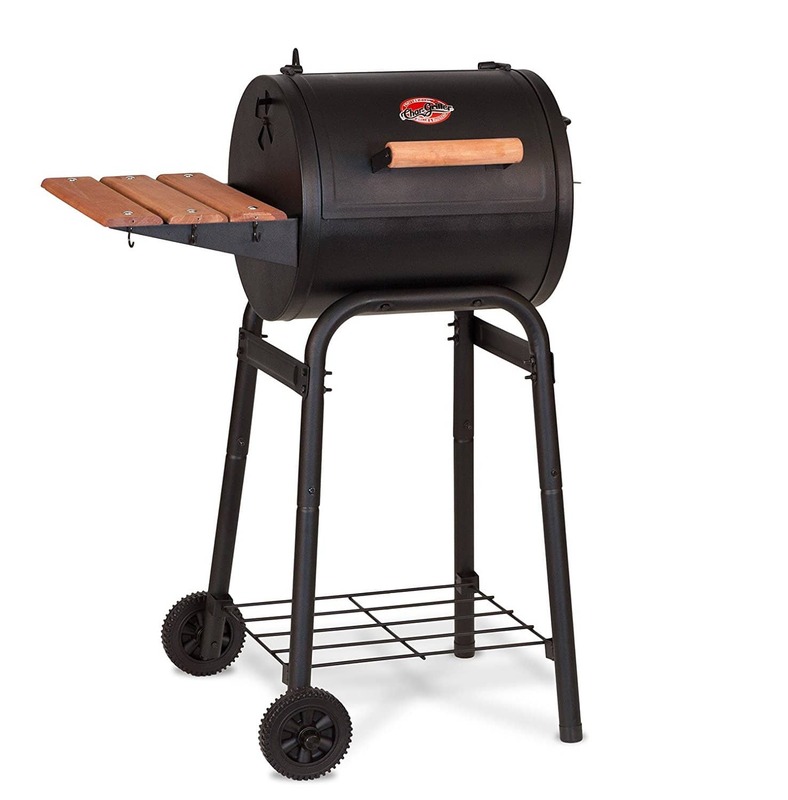 The Char-Griller 1515 Patio Pro Charcoal Grill is the solution for you! 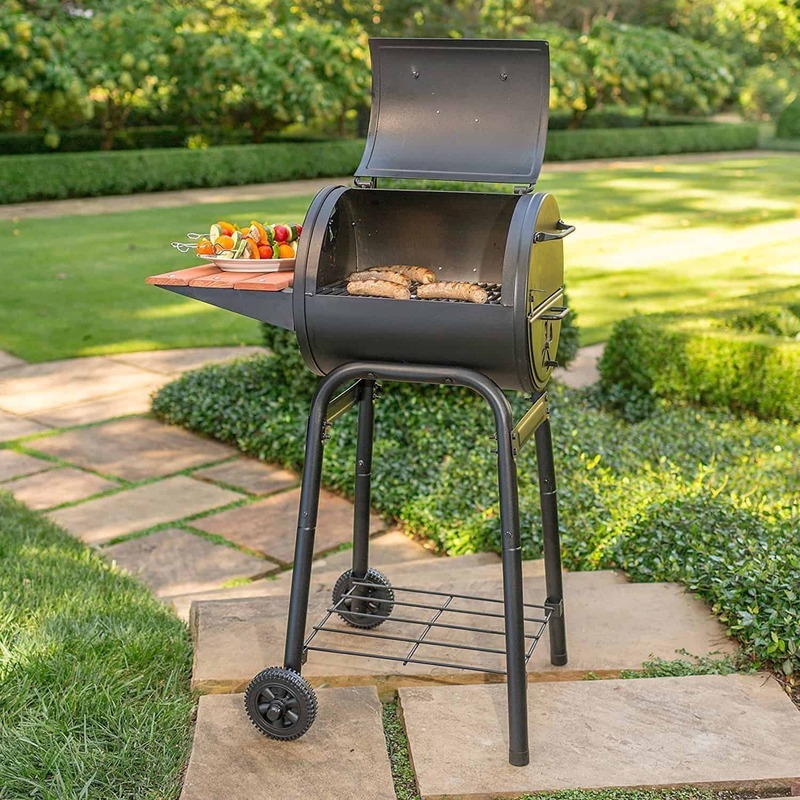 Made of a heavy steel construction and a cast iron grate, this 250 square inches grilling space will perfectly suit your grilling needs. 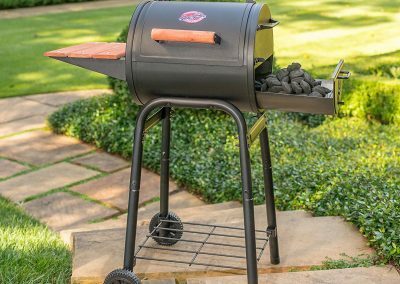 This compact griller will easily fit a tri-tip or whole chicken with indirect heat, or cook six 17 inches kebabs and still have room to roast some peppers and tomatoes. Weighing only 50 pounds with wheels for easy movement, the Patio Pro is only 31 inches wide by 21 inches deep. 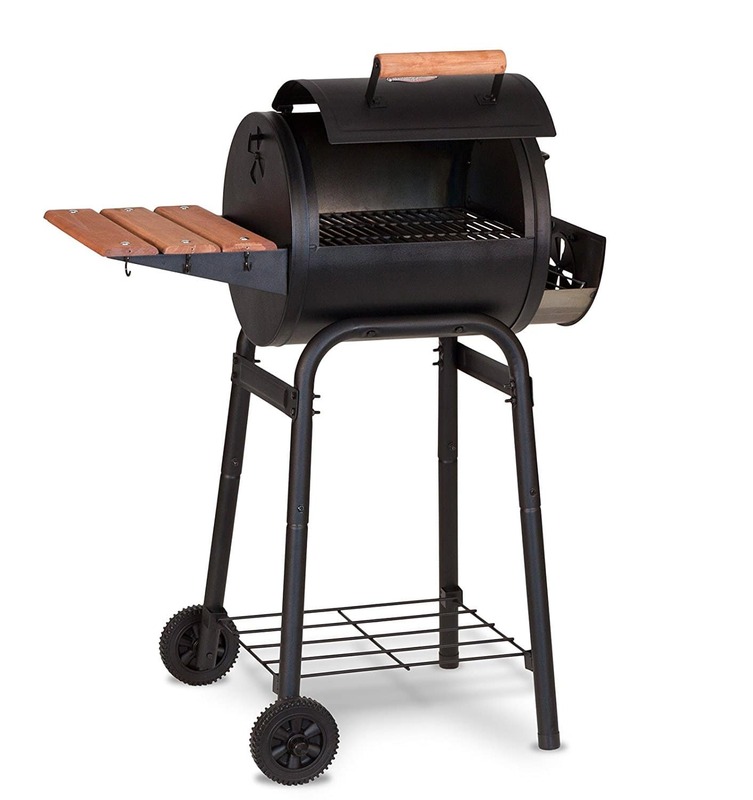 Standing at 44 inches in height, this grill is perfect for small spaces. 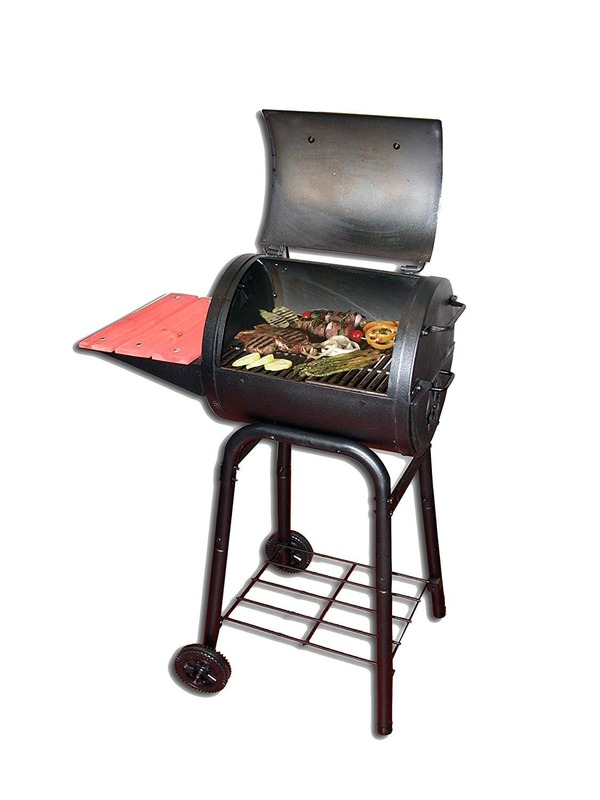 The Char-Griller 1515 Patio Pro comes with an easy dump ash pan to make your ash disposal quick and efficient. 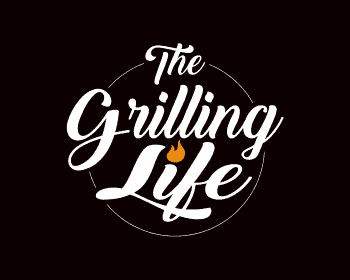 No more lifting out greasy grills or tipping over your grill. Just pull out the pan and dispose of the ash. 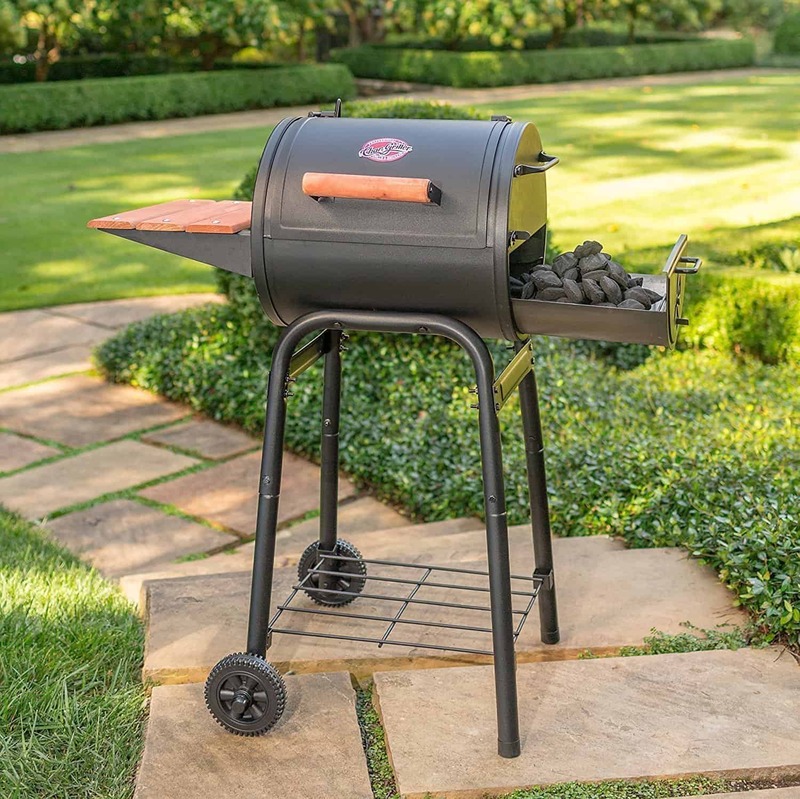 The Patio Pro is made from heavy-duty steel and powder coated to increase durability. 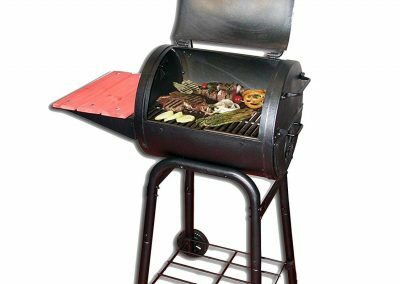 The grill is made of cast iron and will give a wonderful sear to your food. Have more burgers than will fit on the grill? Just put them on a tray on the side shelf until there’s more room on the grill! 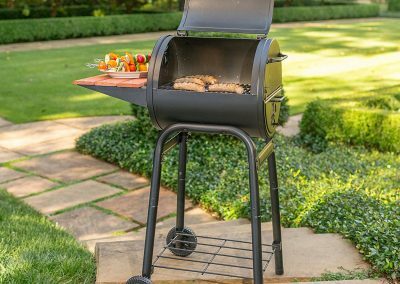 And if you’re trying to figure out where to keep that big bag of charcoal, look no further than the storage rack underneath the grill.